Day 20: First non-D&D RPG you played. 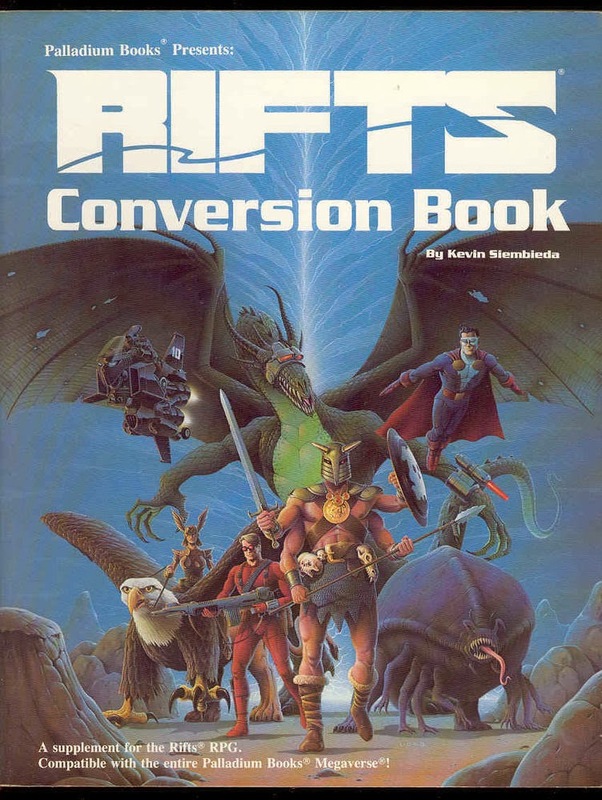 Still one of my favorite systems despite the rules not seeing any substantive updates in 20+ years, the first non-D&D RPG I played was Rifts. The first book I ever bought was the Rifts Conversion Book, which meant that I wasn't really able to play the game immediately. But what 10 year old kid could resist that cover art? I mean, come on... this game has cybernetic dragons, monsters, super heroes, a four armed guy with a wicked spear... and that SWEET hover bike! I'll take one of each! Rifts would go on to be my fourth favorite nerdy game of all time - right behind Dungeons & Dragons, Magic: The Gathering, and Warhammer 40K. Although we rarely play Rifts anymore, we still give it a spin every few years, and it never fails to disappoint. There are always wacky characters, weird stories, and power creep like you haven't seen since Combo Winter. Our Rifts campaigns never seem to last very long, but they are an absolute blast to play.